There is buried treasure in Indiana. And if you are interested in locating them, this page can help. Although I have listed a few stories about lost treasures on this page, it is not enough information for you to begin your search. You need to research further. There are many tools and references to help you gain more knowledge about the stories I have posted below. Use the Internet, but do not rely on it solely. Visit historical societies, and libraries. Ask questions, follow leads, and be diligent in gathering information about the treasure you are searching for. The more information you have, the easier your actual search becomes. One of my metal detecting, TV series showed how we researched for a buried treasure we had been searching for. Between Berne and Geneva, just outside of Terre Haute on a farm, is $95,000 of paper money and gold coins buried in the 1920’s by an employee of a bank. The employee embezzled the money and then committed suicide. Gangster John Dillinger supposedly buried several treasures of stolen money on his fathers farm near Mooresville. FBI reports state that approximately $600,000 is buried on the ten acre farm. In 1810, Indians buried a cache of gold bullion in a cave on Rocky McBride Bluff, overlooking the White River, just north of Shoals. There is a story that pirates hid in a cave on a bluff that overlooked the Ohio River, a few miles south of Mt. Vernon, and that they hid several caches of treasure in the area. 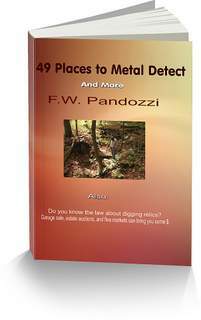 There are laws that pertain to digging relics on State or Federal lands. And you should understand what they are. The Antiquities Act of 1906, which is at the link below, is the grand-daddy of all the land laws. It was enacted to preserve the heritage of Native American artifacts from being stolen from Indian lands. Every State has since that time adopted their own version of laws from the Antiquities Act. If you break any of these laws, you can be arrested. I know of many cases across the country of individuals being arrested for either knowingly, or unknowingly digging up artifacts on State lands. Be Careful On State or Federal Lands. 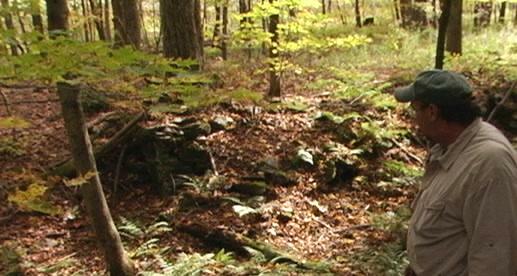 Buried treasure in Indiana may be located in ghost towns.